The Bowflex E216 BXE216 Elliptical Trainer is Bowflex’s premium elliptical machine, designed with ergonomic features for a comfortable workout and lots of options to keep you motivated to help you reach your fitness goals. The Bowflex E216 Elliptical Trainer utilizes a 35 lb flywheel together with a magnetic resistance system for smooth consistent momentum and quiet operation. 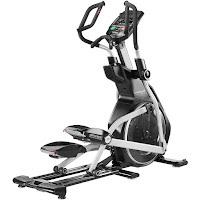 The Bowflex E216 Elliptical Trainer offers a 22” precision path stride length with a dual rail system and features Switch Select Cushioning System which offers low-impact cushioning and adjustable pedal tilt for maximum user comfort. To keep you motivated and challenged, the Bowflex E216 Elliptical Trainer offers 25 resistance levels, 11 preset workout programs and up to 10% motorized incline. The adjustable incline helps you to work even more muscle groups than a standard elliptical without the incline feature. The Bowflex E216 Elliptical Trainer comes with a premium Burn Rate Console with a large 7.5” LED color backlit screen and displays motivating workout stats such as time, speed, distance, calories and heart-rate. The console allows for 4 user profiles and is Bluetooth compatible so you can sync it with Bowflex’s Free Results Series App on iOS or Android devices for online fitness tracking. To help stay within your target heart-rate zone, the Bowflex E216 tracks your heart-rate via either the built-in pulse sensors in the static handlebars or via a wireless chest strap for more precise readings. 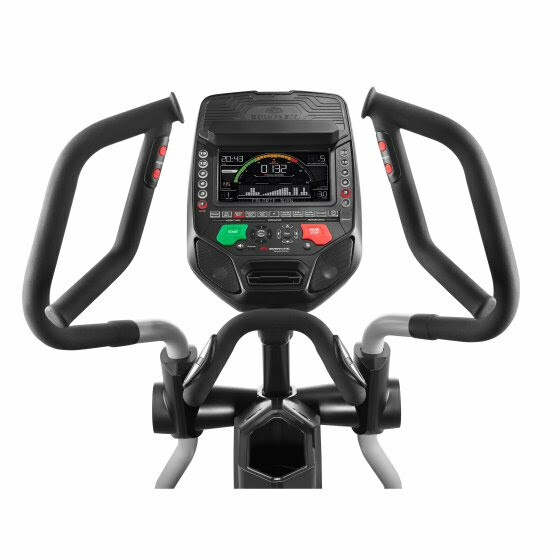 The Bowflex E216’s moving handlebars feature In-Reach controls and offer multi-position grips to work different muscles and allow you to find the most comfortable grip for you. Additional features of the high-end Bowflex E216 Elliptical Trainer include dual speakers with MP3 input, built-in media shelf/device holder, USB charger port, and water bottle holder. The Bowflex E216 BXE216 Elliptical Trainer is sturdily built with a durable steel frame and allows for a user weight capacity of up to 400 lbs. The Bowflex E216 is a premium-built Elliptical Trainer with unique ergonomic features for optimum user comfort. There are plenty of programs and resistance levels to keep you motivated and challenged as you progress towards your fitness goals. 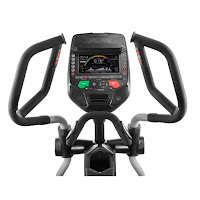 The high build-quality, adjustable pedal tilt/cushioning system, multi-position grips handlebars, In Reach controls, and motorized incline are all features not typically found on lower-priced elliptical machines and are well worth paying the extra cash for over a cheap machine, especially if you’re serious about exercising!